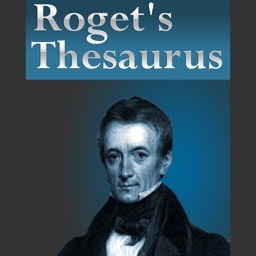 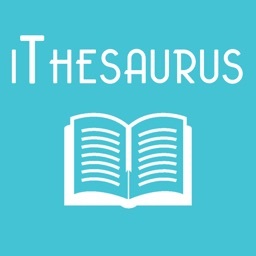 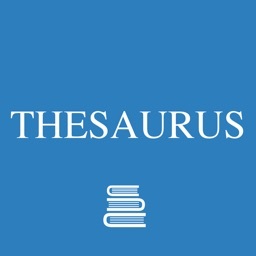 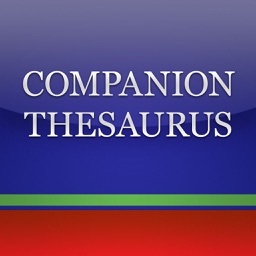 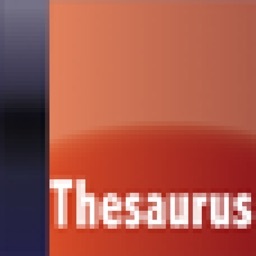 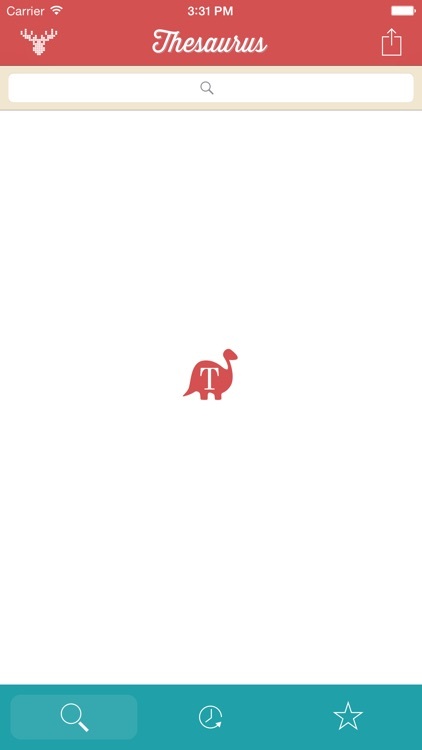 English Thesaurus provides over a million synonyms and antonyms, a fuzzy search with suggestions, single word or phrase search options, offline access, regional flags, and a customizable appearance. 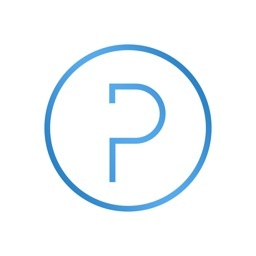 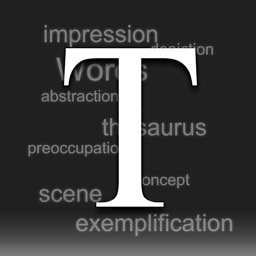 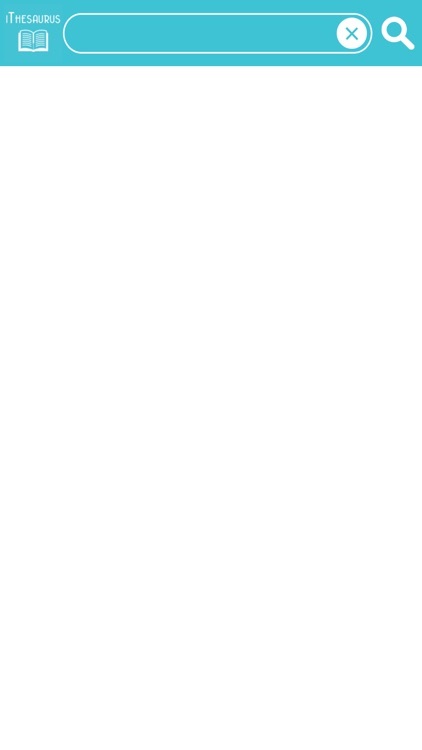 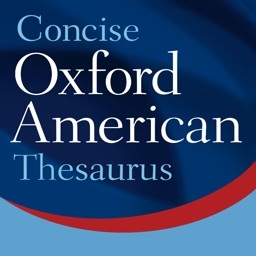 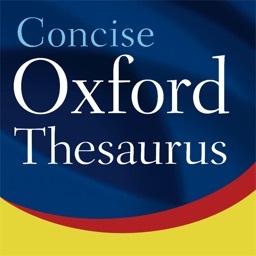 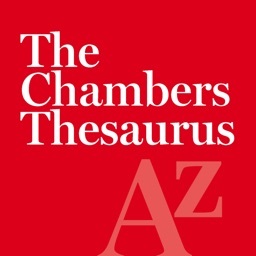 The Concise Oxford American Thesaurus is a convenient and complete thesaurus for school, work, and home, with example sentences and phrases for almost every sense. 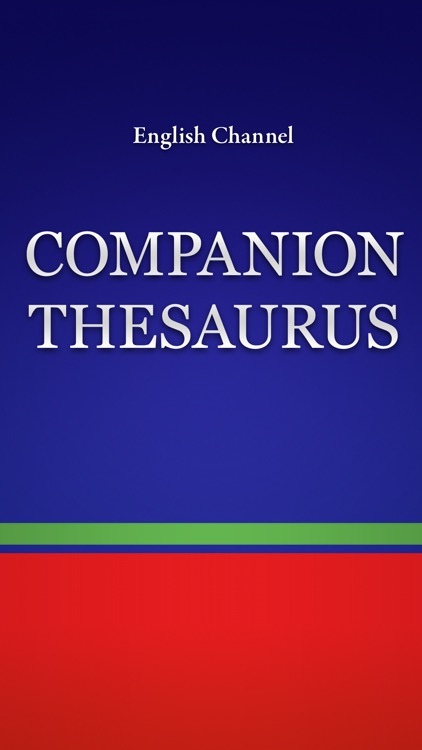 Synonym Studies that show the subtle differences in meaning among a group of easily confused words are also included, making this thesaurus an essential tool for everyone who needs to write quickly, clearly, and well. 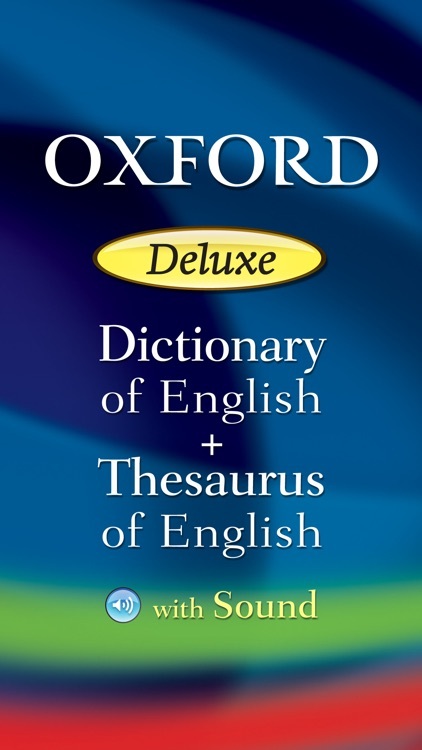 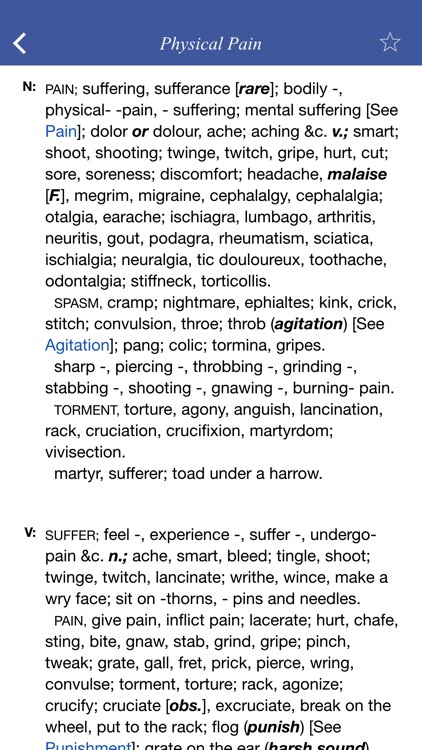 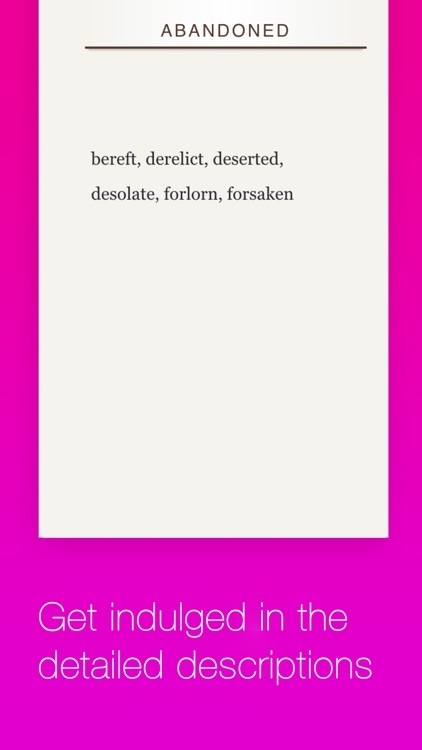 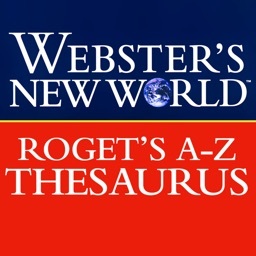 This dictionary contains alternative words that cover everyday vocabulary as well as more unusual and specialist words, alongside a clear indicator of informal, dialect, literary, and technical items. 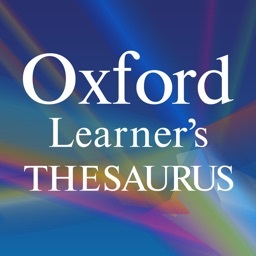 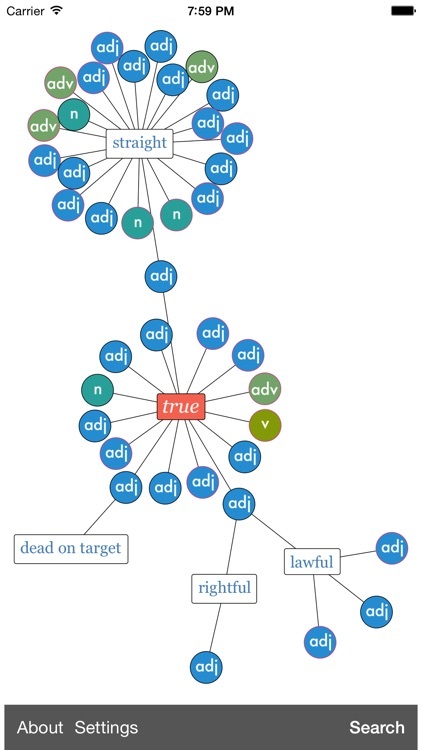 Other useful features include thousands of example phrases helping you to select the correct word, with opposites and related terms clearly marked. 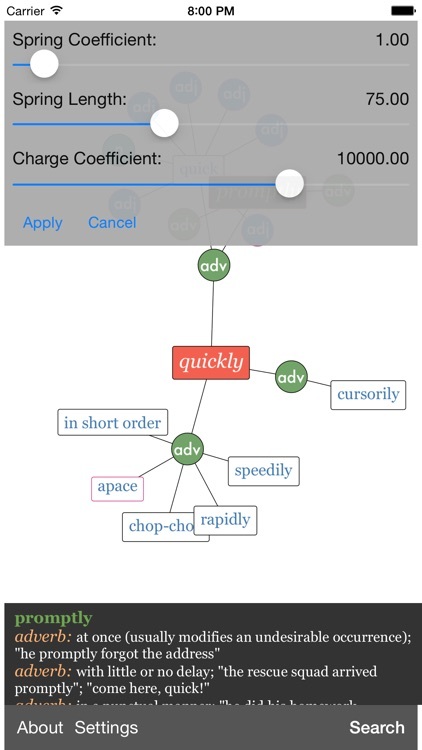 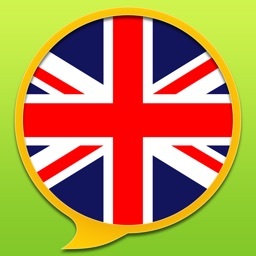 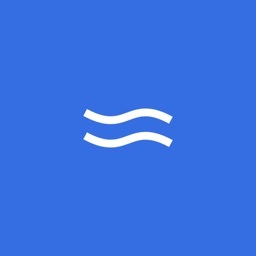 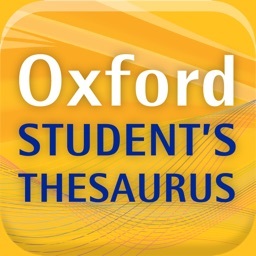 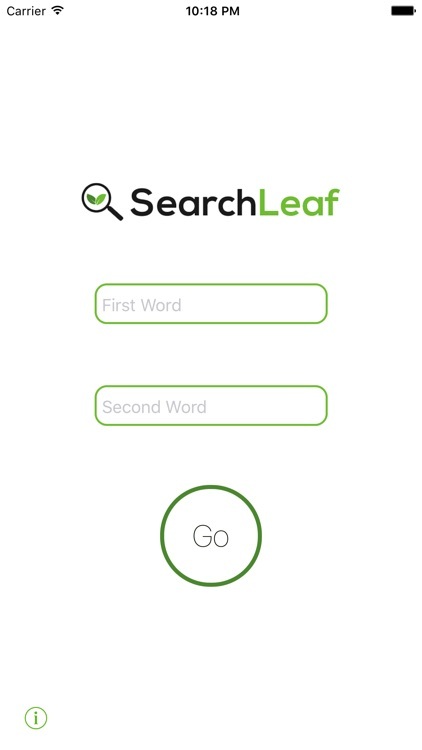 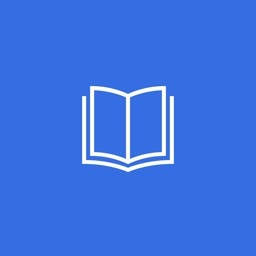 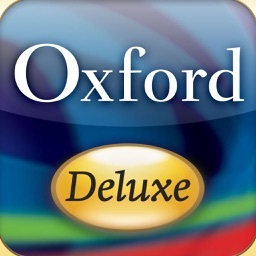 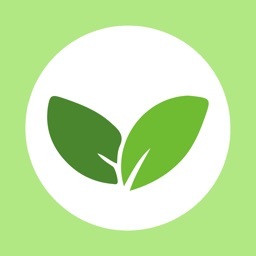 Combines Oxford's largest single volume English Dictionary and largest Thesaurus, plus audio, all in one application —making this the largest Oxford English reference on ANY mobile platform. 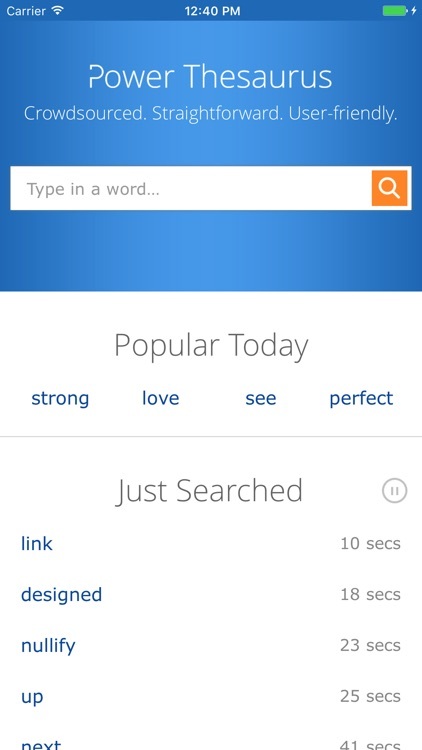 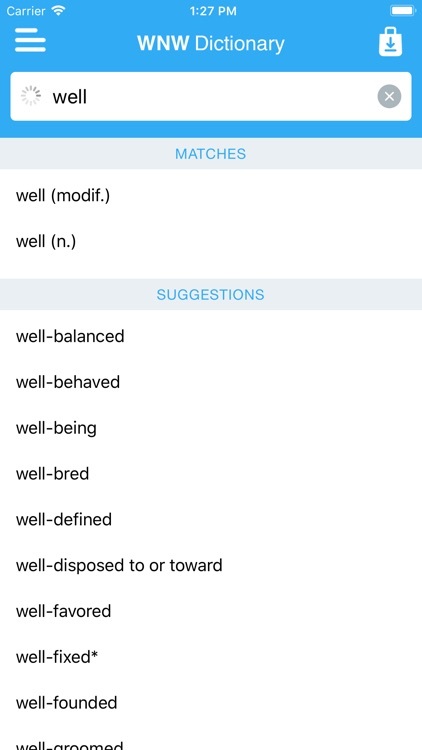 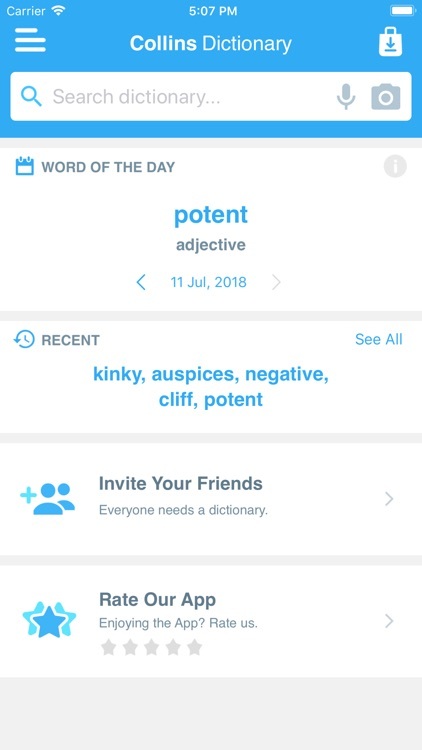 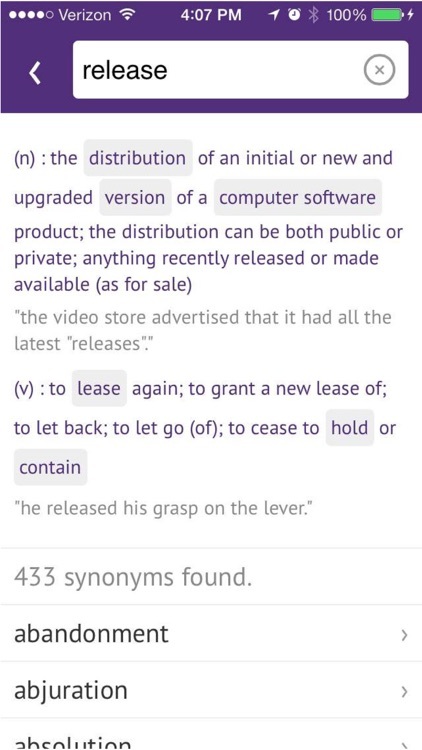 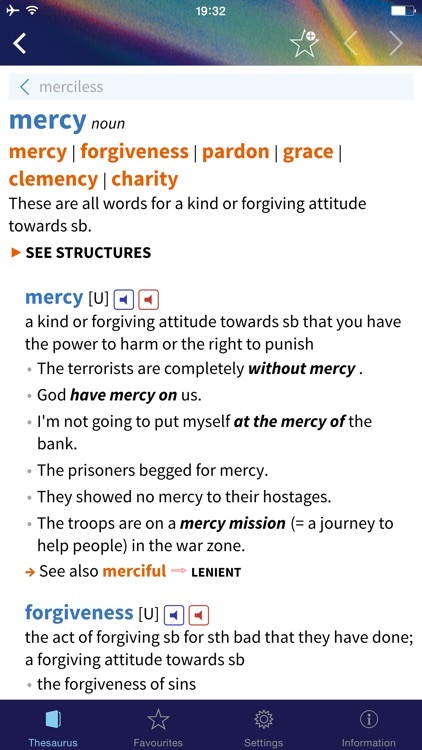 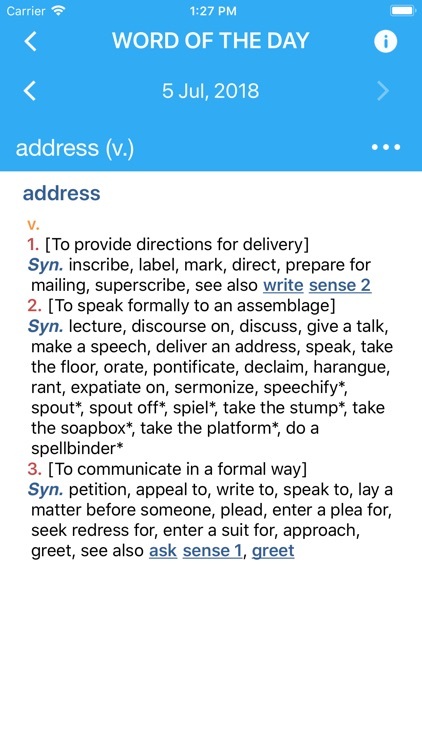 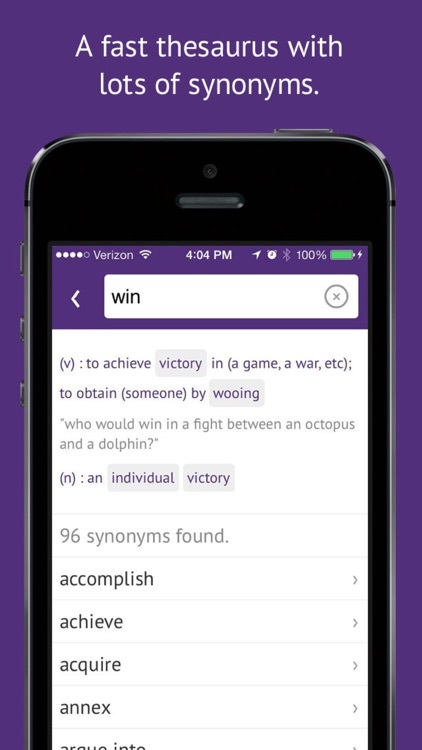 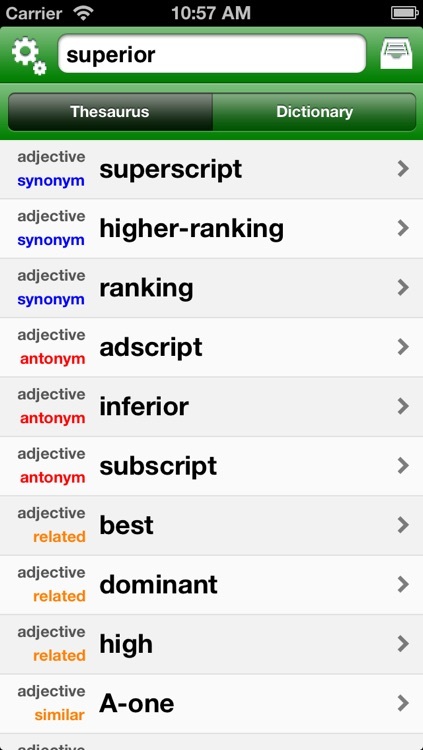 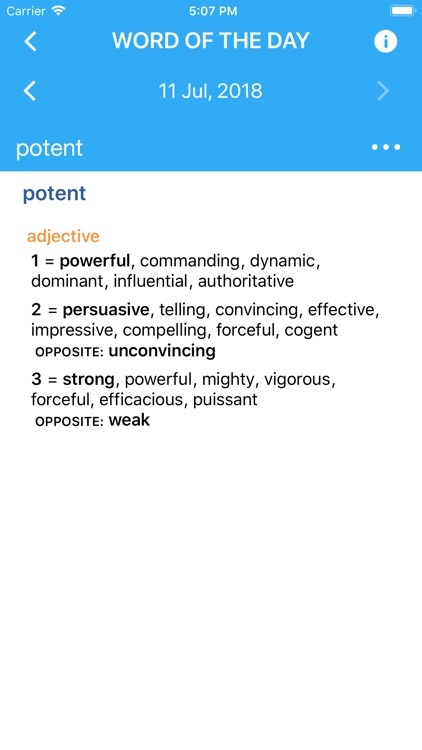 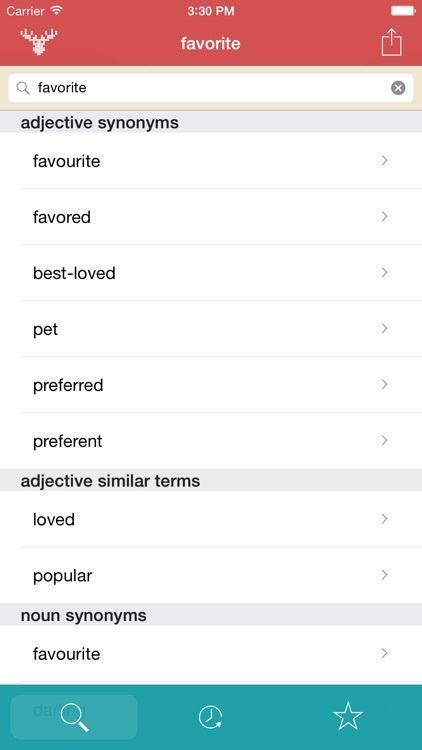 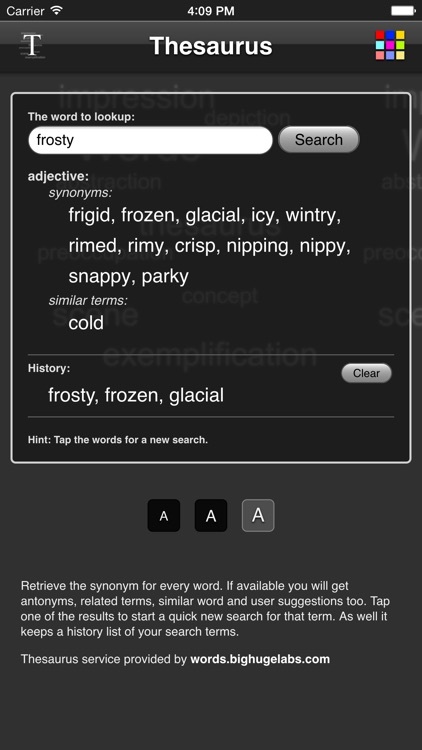 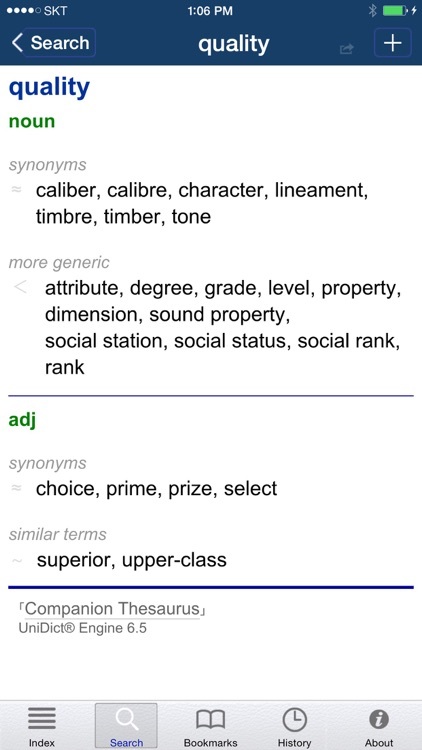 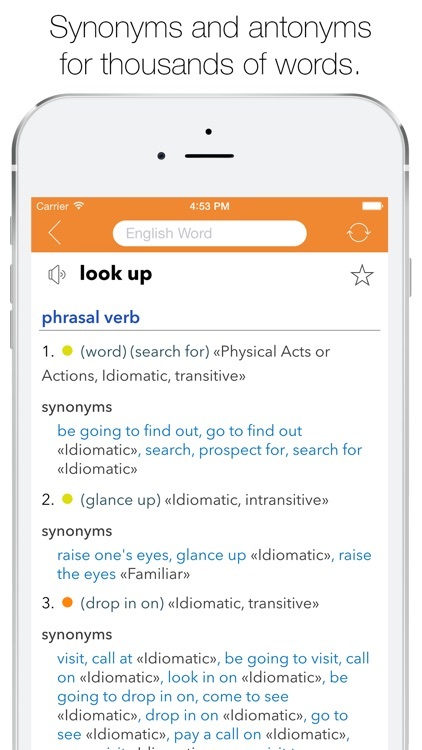 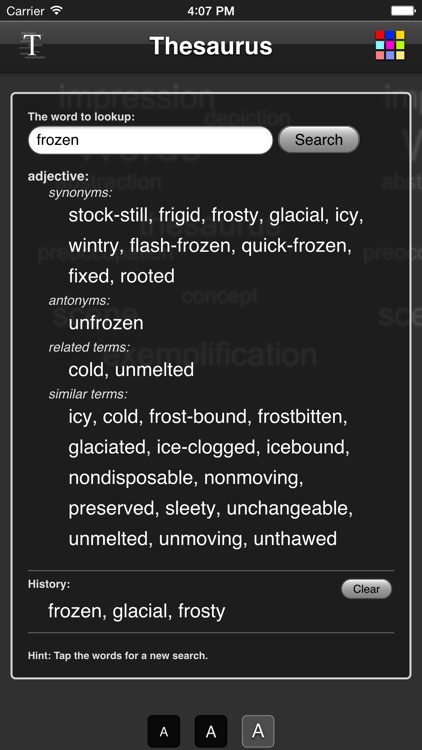 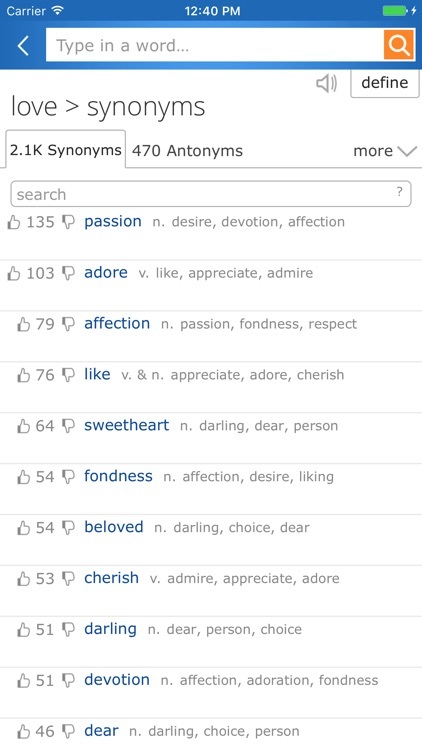 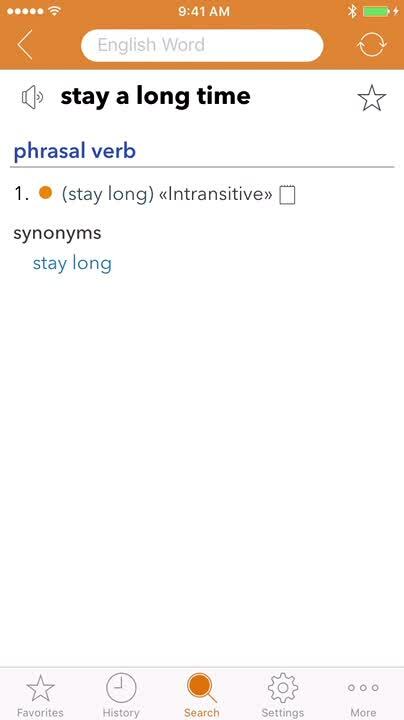 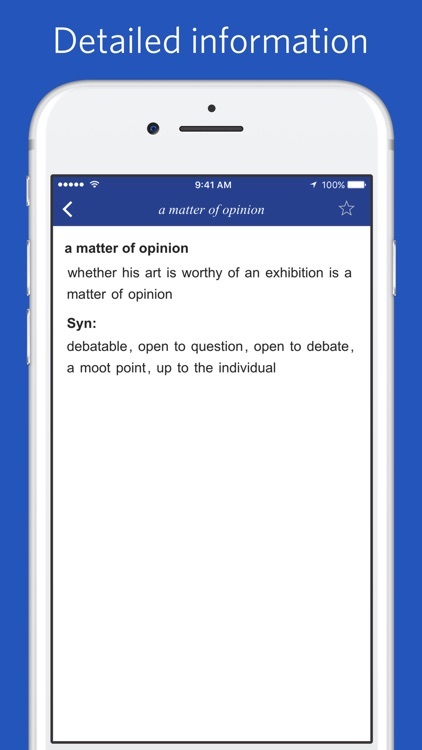 Powered by the acclaimed "UniDict® Engine", this is the only iPhone dictionary platform with inter-application linking. 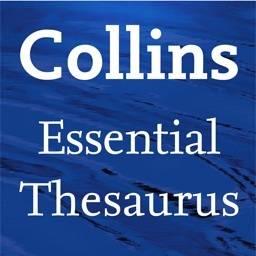 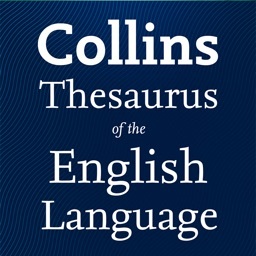 The Collins Essential Thesaurus is the ideal language tool with references arranged A-Z, so you can easily find the words you're looking for. 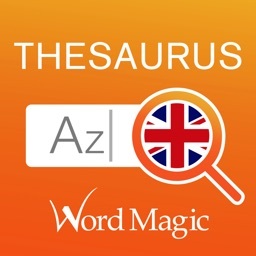 With a comprehensive range of alternatives for each entry, alongside a huge choice of opposites, the Thesaurus enables you to use words with precision and confidence. 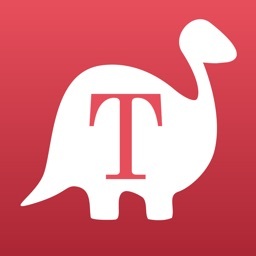 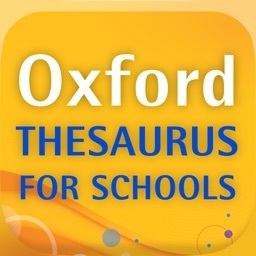 You can now access over 150 years of language experience at your fingertips with the new edition of the Oxford English Thesaurus for Schools app. 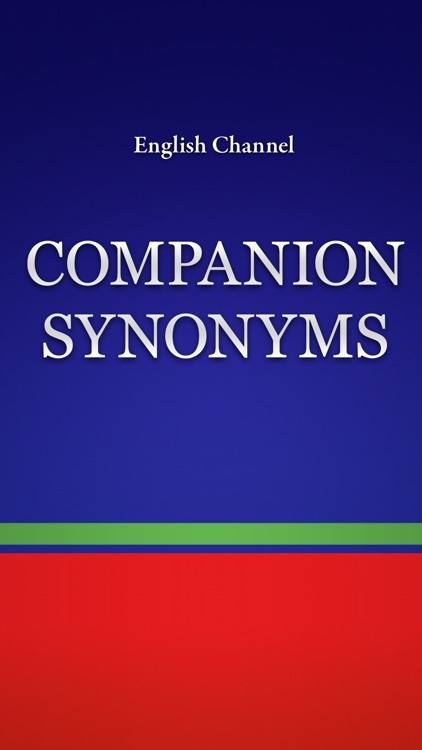 Do you need to find a synonym for a word or to paraphrase a sentence ? 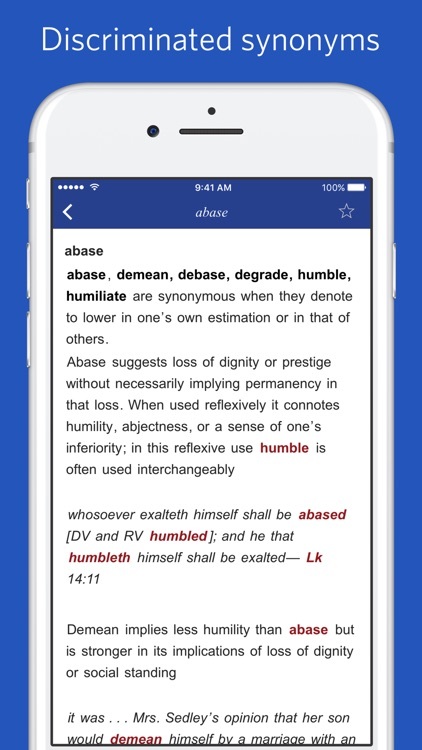 Do you know what is the difference between "abase", "demean", "debase", "degrade", "humble", and "humiliate" ? 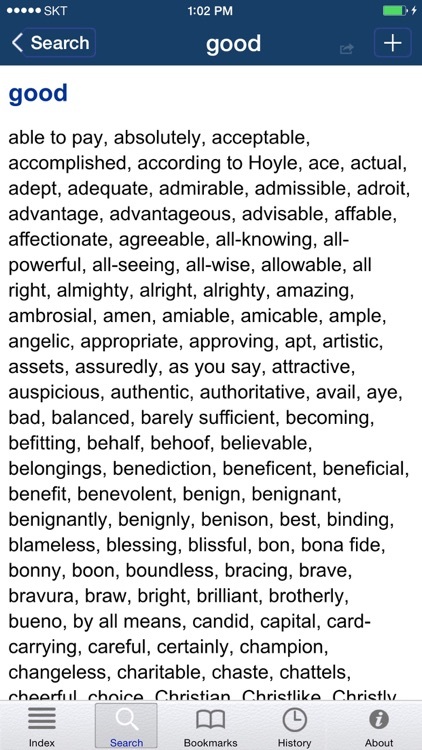 Can you distinguish "abbreviate" from "shorten", "absolve" from "exonerate", "achieve" and "accomplish" ? 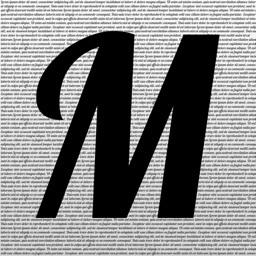 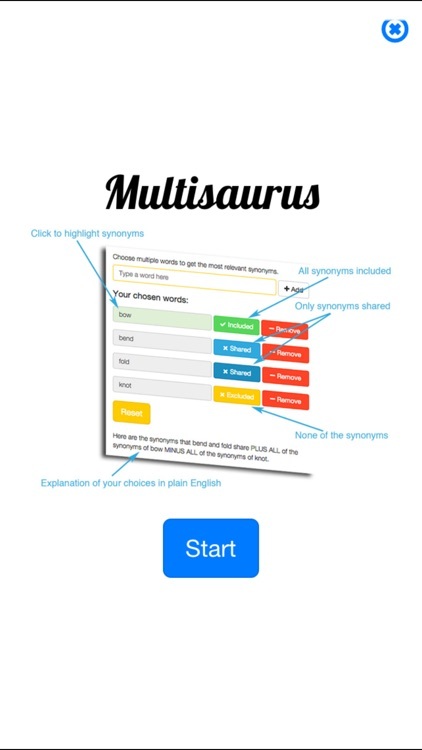 Multisaurus - A Thesaurus Revolution! 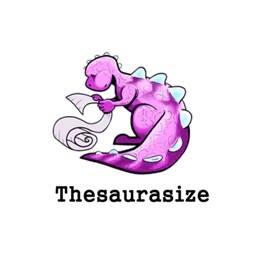 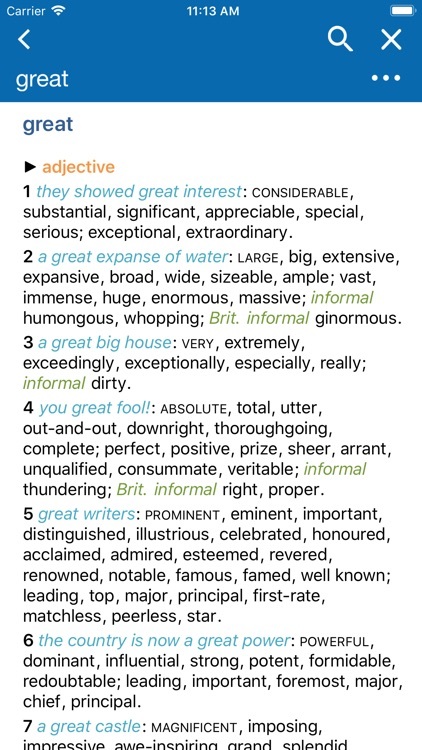 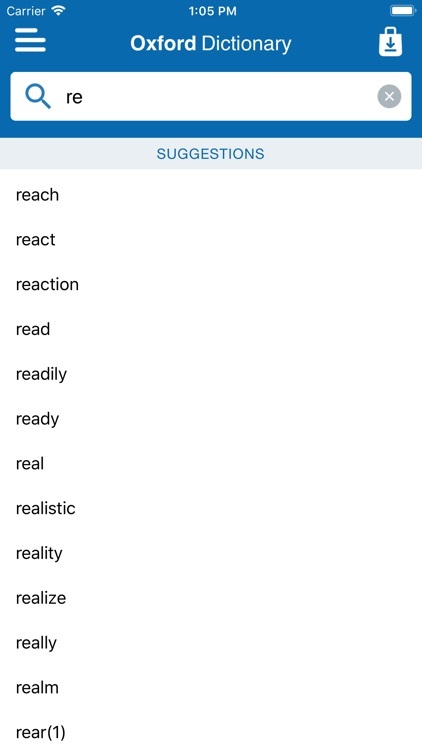 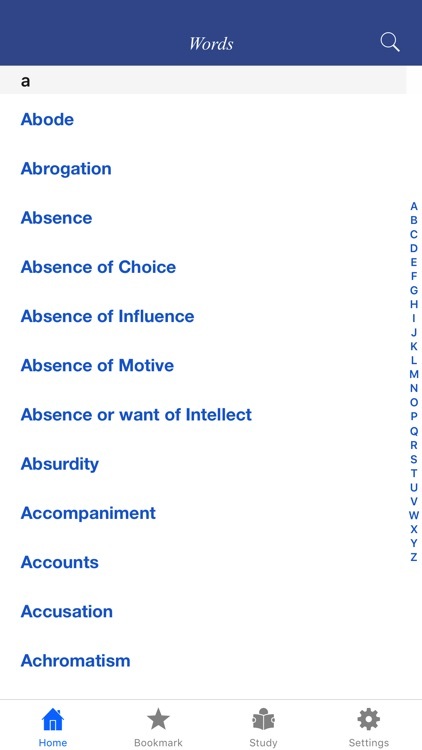 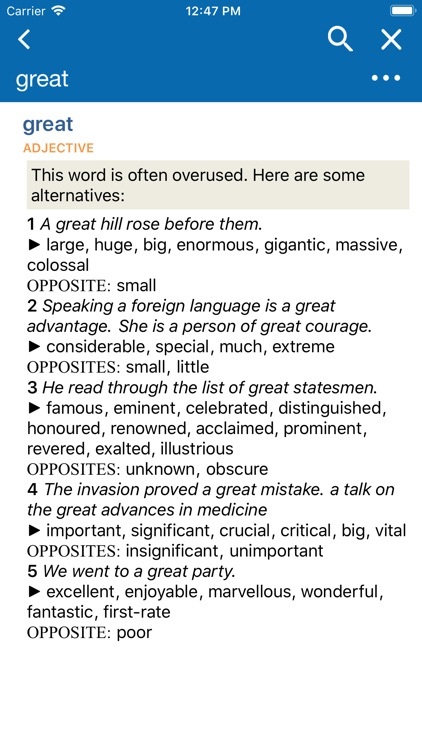 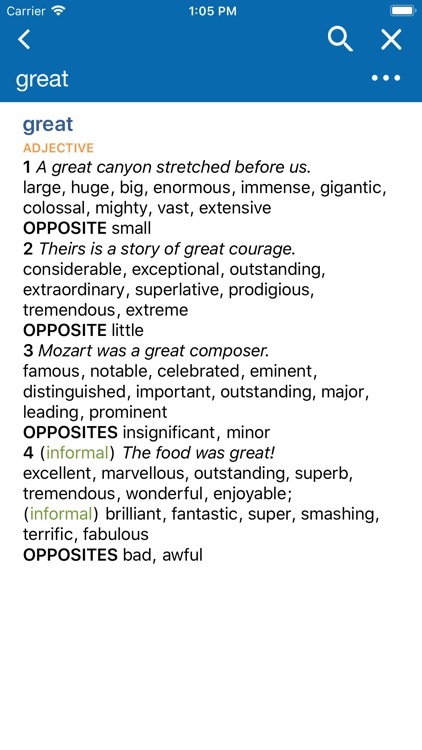 A thesaurus with a difference. 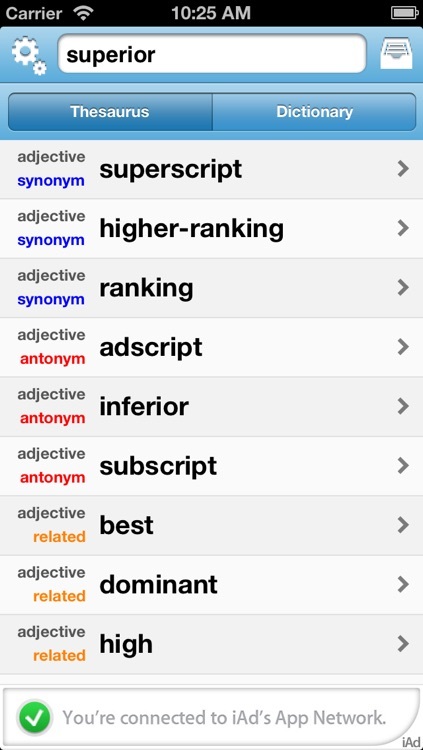 Find synonyms that are shared by two words, add the synonyms of another word and exclude the synonyms of another word. 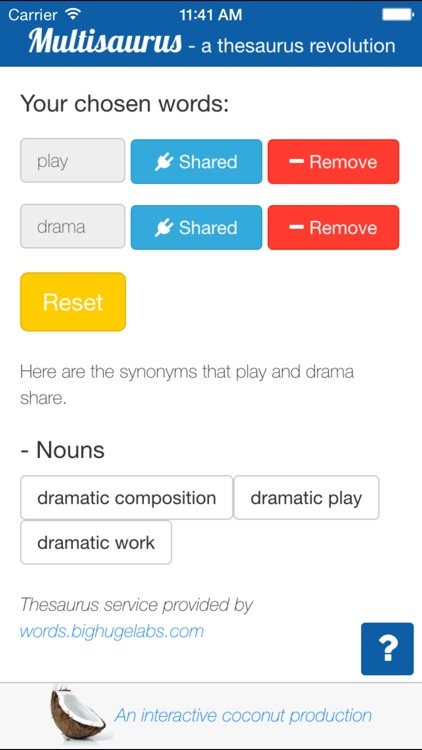 Find the synonym with the perfectly fine tuned meaning - or double meaning! 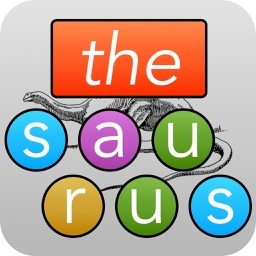 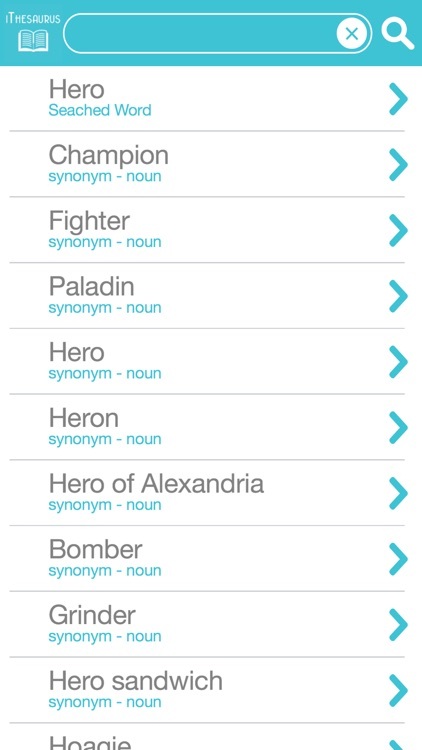 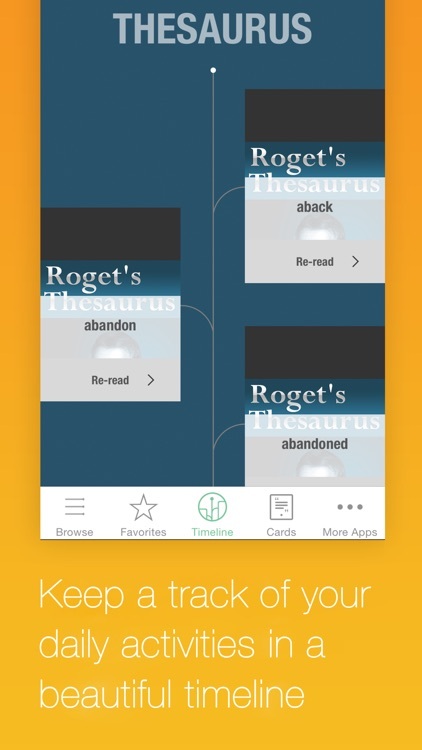 You can either use the thesaurus to search for synonyms or antonyms or you can play in one of two modes of play, while swiping letters to match antonyms and synonyms. 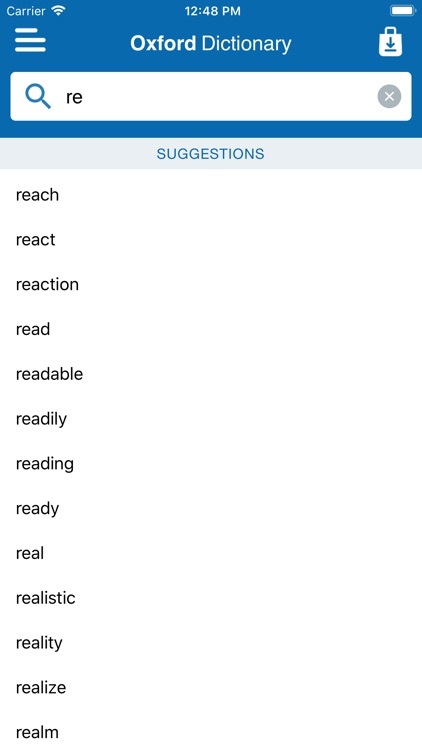 mode 1) aiming a rocket at a saucer. 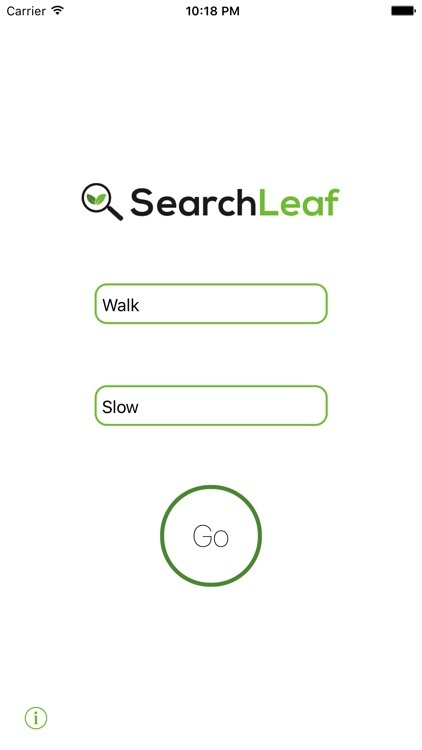 mode 2) viewing a real-time tracking of your performance being charted. 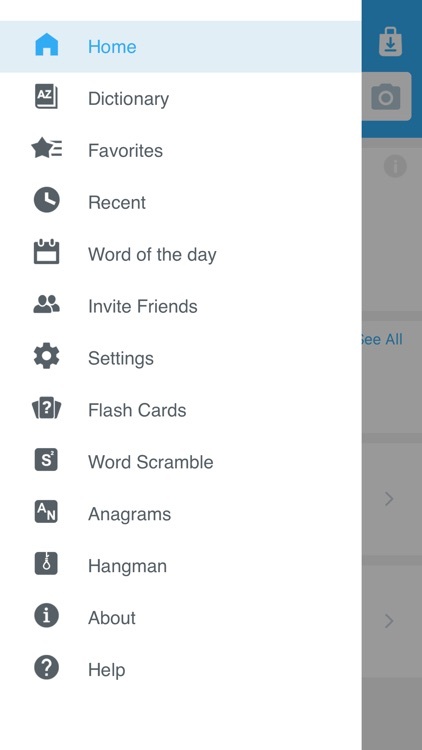 Graduate from one level onto another and get reward icons for your performance. 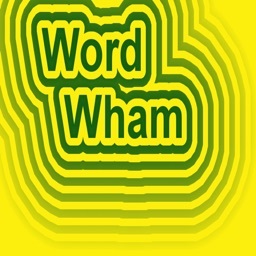 Enjoy the fireworks as you beat the levels and as you swipe faster and faster. 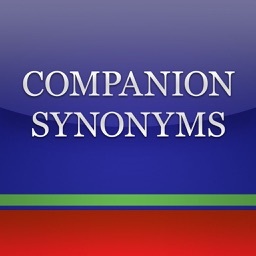 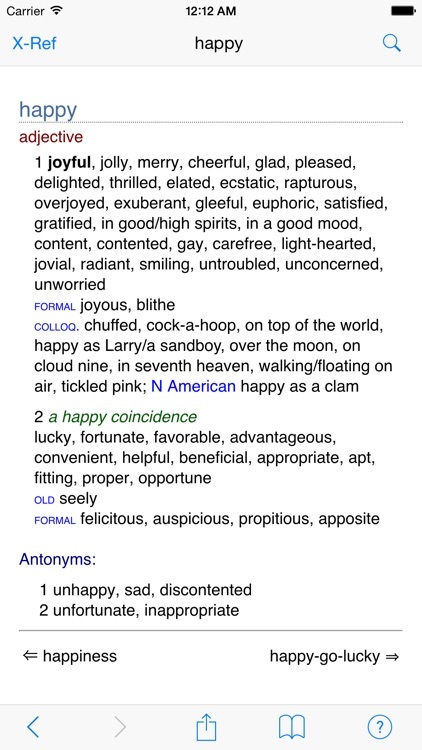 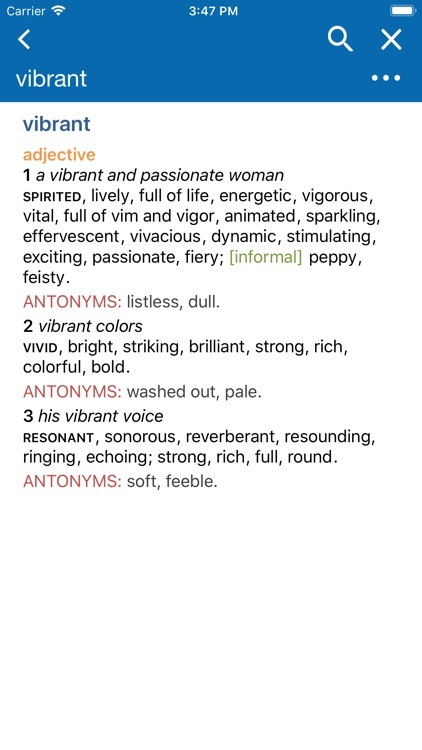 Thousands and thousands of synonyms and antonyms for you to discover.